FIDAF world congress to kick off in Korea on Thursday. September. 10, 2018 07:52. by Seung-Hoon Cheon raphy@donga.com. The Federation of International Dance Festivals will hold an executive committee meeting and world congress at the Grand Walkerhill Hotel in Seoul on Thursday. 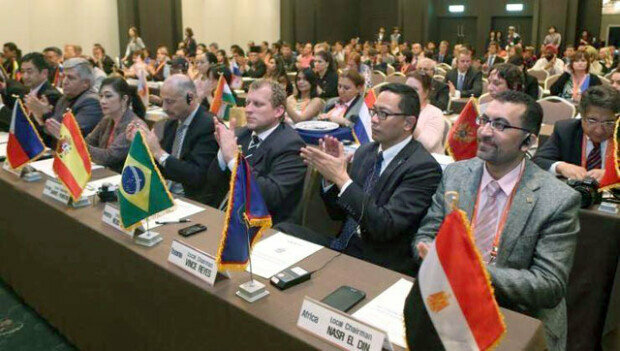 For the FIDAF world congress, executives and regional representatives of 75 member countries will visit Cheonan and Seoul for seven days to discuss ways to improve international dance festivals. The FIDAF, which is currently headed by Cheonan Mayor Koo Bon-young, was officially founded in October 2012 to form a network between international dance festivals and establish a system for mutual cooperation.